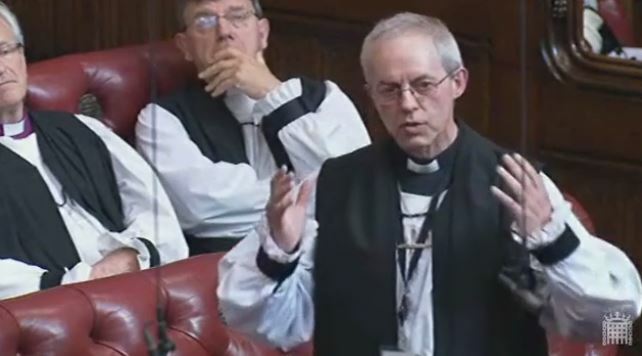 The Lord Bishop of Durham: My Lords, I am astonished to be here for two reasons. First, I am astonished that I am here at all. Secondly, I am astonished at the warm welcome that I have received, for which I very much thank your Lordships and all the staff and people who work in this place, who deal very adequately with Bishops wandering around, bleating miserably that they are lost—or, at least, this particular Bishop. It has been a great privilege to have found myself helped in so many ways. I am also grateful to the noble Baronesses, Lady Wilcox and Lady Royall, for their warm welcome today. I look forward to hearing the maiden speech of the noble Lord, Ashton of Hyde, a little later. I am privileged to be the Bishop of Durham in the north-east of England, which has been one of the most formidable and remarkable parts of this country for more than 1,000 years. It is a source of spiritual and material regeneration and the home of the Industrial Revolution in a way that continues to this very day. We have just heard mention of the new investment by Nissan in car plants and about the SSI steelworks on Teesside and the train assembly by Hitachi within a couple of miles of where Stephenson manufactured the Rocket. These are all areas of intense international competition. These investments show the capacity of the north-east to face anything that comes and to be successful. This morning I was speaking with the chief executive of the chamber of commerce about a company near Newcastle that makes remotely operated vehicles for subsea work. It has created 500 jobs in the past five years, which, again, is extraordinary. We were talking about how we can develop a trade mission to Nigeria—a country that I know well—in connection with that and with the oil industry, which I also know well. All these successes mean that the north-east is not a problem to be solved but, rather, an asset to the country to be treasured and valued. At the same time, we face the gathering storms that have been there since 2008 and are getting worse today, threatening even more damage than they have done in the past few years. We see that there are resources and there are great arguments about the rate at which one decreases deficits. However, it is clear to everyone that the Government do not have as much money as perhaps they would like. There are also great arguments about personal indebtedness. Certainly I have recent experience in the north-east of the current level of loan-sharking, which, as someone in Sunderland said to me, is now finding its golden age. People are very stretched. One area that remains extremely liquid is the corporate sector—an area that I am familiar with, having at one time been the treasurer of an oil company. The Ernst & Young ITEM Club spring report of 2012 said that financial surpluses in the corporate sector are now at 3% of GDP, expected to rise to 5% in 2016, and that last year the sector added £80 billion to its cash hoards. That £80 billion is hoarded in the Keynesian sense of money put away not because it is needed to pay imminent debts or to manage cash flow but, rather, because there is a sense of a lack of confidence. Those are the issues that are being faced. Even though the north-east is the only part of the country to have a balance of trade surplus, what is making matters worse there is that engineering manufacturers are finding a shortage of skills. With youth unemployment at very high levels, they cannot hire people with the necessary skills for engineering. I have the privilege of being patron of the Northern Echo’s campaign for jobs, which aims to create 1,000 apprenticeships and internships over the next 12 months by asking companies to take on extra interns and apprentices. Skills in engineering and manufacturing are learnt not simply in the classroom but by being part of a working environment. One of the best things that can happen—it is seen in the Budget Red Book and is alluded to in the gracious Speech—is the creation of opportunities for new apprenticeships and new learning and skills. However, that needs targeted resources—mere widespread exhortation is not going to do it. The second major area is confidence. As I said, £80 billion is being hoarded because of a lack of confidence. Once again, confidence does not come through exhortation but through action, so companies feel that if they do not get on they will fall behind. On 24 April, the noble Lord, Lord Davies of Oldham, made some passing remarks about the pressure on the construction industry, with the 14% fall in January. This morning, looking at the Bank of England agent’s report for the north-east, I read that 15% of all insolvencies in the past quarter were in the construction industry. Confidence comes from cranes and scaffolding: they build confidence as quickly as they erect buildings. Again, when resources are short, we need targeted use of money to bring about quick investment. All over the country, particularly in the north-east, in schools and in the area of listed buildings—to the unschooled, I am dressed in a white nightie and a black dressing gown which means I have an interest in listed buildings as you might imagine—there is a large number of what President Obama refers to as “shovel-ready” projects. Those targeted investments saying, “You can have funds, grants, help and allowances provided you break ground within six months”, would immediately create large numbers of jobs at a much lower cost than we were hearing last week had been spent on some job creation exercise. The whole object is not merely economic growth and human flourishing. With economic growth we are able to deal with some of the great issues of human flourishing, such as loan-sharking, the breakdown of families, the high levels of unemployment and the 1,100 people who have visited a food bank that I opened last week—a food bank in this country. Such things destroy human flourishing and diminish the human spirit. The need for confidence and investment in skills is not merely to have a bigger economy but to enable us to see a transformation of our society. These things will not happen merely through exhortation but they require action and leadership. Lord MacGregor of Pulham Market: [extract] My Lords, it is a very great pleasure to follow the right reverend Prelate the Bishop of Durham. I believe he is extremely fortunate to be the Bishop of Durham Cathedral. In my youth, I remember travelling from Scotland to London and I was always astonished by that wonderful building. When one of my daughters went to Durham University, I was able to appreciate it even more. It is a most marvellous institution and how fortunate he is and how well in his speech he has represented the interests and aspirations of his community. As High Steward of Norwich Cathedral, I believe that Durham Cathedral is a very different rival but it is certainly an outstanding establishment. In the list of his political interests, I was fascinated to see that the top two are finance and the economy, issues not always connected with right reverend Prelates. He has shown in his speech today just how much his interests lie in that area. At a time of very tough public expenditure decisions, I strongly agree with his point about targeted investment of public funds. The right reverend Prelate has had a most distinguished career in the church, including being Dean of Liverpool. He speaks with great knowledge, giving a spiritual and ethical dimension to the issues that concern many of us, as the personal and ethical adviser to the UK Association of Corporate Treasurers and as chairman of an NHS trust. I hope that as we approach the issues of salaries, high rewards and so on we will hear him speak from his point of view. 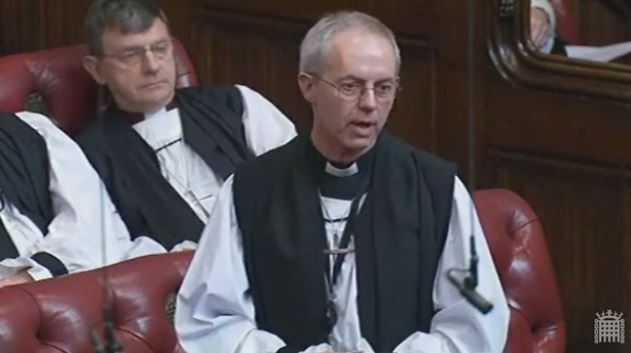 Lord Myners: [extract] My Lords, it is a pleasure to participate in a speech on the humble Address and in particular to welcome the maiden speech from the right reverend Prelate the Bishop of Durham, who has already warmed the House to his wisdom and sense of social responsibility. Baroness Kramer: [extract] My Lords, I also congratulate the right reverend Prelate the Bishop of Durham on his maiden speech. It was genuinely a very powerful speech on the issues that we are addressing today. I do not want to put words in his mouth but I would like to make a couple of comments that essentially spring out of the remarks that he made, because I think they are very important. The right reverend Prelate’s speech seemed to underscore the need for the rebalancing of our economy, both by region so that the north of England has the opportunity to thrive after so much historically has been concentrated in the south and south-east, and to diversify away from the dependence that we have had for several decades now on the financial services industry, to rebuild other services and our manufacturing base. This Government should take credit for picking up and working with this issue and with the regional development fund, enterprise zones and centres of excellence, and for the stimulus and tax breaks they have given to those investing in new enterprises, in order to begin to achieve that kind of change. This has become a cornerstone of government policy, one that was utterly neglected by the previous Government, and that is crucial. The right reverend Prelate also talked about the skills gap. I think it is commonly recognised across this House that jobs are available but that youngsters are without the skills to take them, and that is an extraordinary situation. Again, this Government, particularly my colleague and friend Vince Cable, have pushed ahead with apprenticeship schemes, which had been nowhere on the agenda for at least a couple of decades, and with the youth contract, which is a fundamental change in the attitude towards upskilling our young people so that we can build the industries of the future. It is so important that enterprise and manufacturing have long-term, sustainable potential, whereas for years—and I understand that Labour did this partly because it did not see what was going on—we had an economy that was built on very large, growing public debt, on individual and consumer debt growing at an extraordinary rate, and on debt within our banking system, which was taking down and knocking up false profits to expand balance sheets. Instead of an economy based on burgeoning debt in various key sectors, one hopes that we are now moving into an economy that is sustainable because it is based on genuine contribution, creativity and production. The right reverend Prelate talked about the cash surplus being hoarded by many of our leading companies. That is a crucial issue. This cash surplus is down to confidence, but it is also a result of many of our major companies having failed to take the opportunity to build their export markets. We are in the most extraordinary situation where Belgium sells more to China than we do. Sir Roger Carr has spoken today about business leaders having to earn their way in the world. He regretted our failure to exploit and to do business with emerging markets and said that we were still not punching at our weight, never mind above our weight. We had similar comments from the City of London last night. There is a real recognition that British business has failed to build its trade and business and to take opportunities in the emerging markets. I fear that part of the reason for hoarding this cash is the bad habit of many of our corporations of simply thinking that they are looking for an opportunity for acquisitions rather than building new product lines and expanding into new markets. Lord Young of Norwood Green: [extract] My Lords, first, I congratulate the right reverend Prelate the Bishop of Durham and the noble Lord, Lord Ashton of Hyde, on their maiden speeches, which were stimulating and interesting….It is a shame that the right reverend Prelate the Bishop of Durham is not in his place. He said that skills are not just learnt in the classroom but they are learnt in the workplace. We need to ensure that things like the green investment bank and regional growth funds start to deliver. He gave a good example when he talked about “shovel-ready” jobs in the construction industry. We should be worrying about the fact that we still have a downturn in the construction industry. Lord Haskel: [extract] The Government should recognise that their policies are not working and demonstrate their determination to lead us out of this recession with an industrial policy committed to technical progress and jobs, a policy that we can all identify with, and action that creates the confidence about which the right reverend Prelate the Bishop of Durham spoke in his excellent maiden speech. This is the sort of thing that the Minister’s colleague Vince Cable calls a “compelling vision”. This is what I would like to have seen in the gracious Speech. The Earl of Caithness: [extract] Turning to the economy, we should all be grateful for the measures enacted by the coalition Government when they were elected to power in 2010—exactly the action and leadership that the right reverent Prelate the Bishop of Durham called for in his excellent maiden speech. The Government started in a good fashion to clear up the mess left by the previous Government. They positioned the UK well for what was to come and inspired confidence. Baroness Wheatcroft: [extract] Big business must be encouraged to expand but, as pointed out by the right reverend Prelate the Bishop of Durham and others, big business is sitting on cash rather than investing. The right reverend Prelate referred to the survey from the ITEM Club. This showed that at the end of last year, the holdings of currency and bank deposits by the UK’s non-financial companies had reached an astonishing £754 billion. That is half the country’s GDP—maybe they should have bailed out the banks. Why are these companies not investing? Lord Shipley: [extract] I pay tribute to the right reverend Prelate the Bishop of Durham for his contribution in his maiden speech on the state of the economy and sources of investment and in particular for his realistic, and in some cases optimistic, assessment of the opportunities, successes and problems of the region that we both live in. I concur with his comments. He drew out in the debate the skills deficit, which is not unique to the north-east of England. Exactly the same issue would apply in other regions; most notably, I attended a recent meeting in the West Midlands, where employers said that in manufacturing, processing and engineering, around 25% of employers are having difficulty recruiting staff at the correct levels. Lord Davies of Oldham: [extract] The right reverend Prelate the Bishop of Durham made a most impressive speech. Of course, we all envy him for both the city in which he lives and the cathedral which he has as his major location, but what we admired today was the seriousness of the contribution that he made on the economy. How welcome that was. If there is one obvious criticism of this place which gives rise to the demands for an elected House, it is inevitably that we are geographically limited. We have an overwhelming south-east concentration: a mere smattering of voices is heard from across the United Kingdom as a whole, and the north-east is not excessively represented in our contributions. The noble Lord, Lord Bates, will jump up and correct me in a moment but he knows what I mean when, at times, even he has been a lone voice. It is very welcome therefore that the right reverend Prelate can make a contribution from that dimension. The Commercial Secretary to the Treasury (Lord Sassoon): [extract] My Lords, we have had a wide-ranging and, as ever, insightful debate. I am particularly pleased to have heard the maiden speeches of the right reverend Prelate the Bishop of Durham and my noble friend Lord Ashton of Hyde. I know that the House will look forward to their future contributions if they are anything like as good as their contributions to this debate…. Baroness Royall of Blaisdon:[extract] I also certainly agreed with the right reverend Prelate the Bishop of Durham, who said that confidence in the economy comes from action, not exhortation, and that it comes from cranes and scaffolding. Where are the cranes, where is the scaffolding, where is the infrastructure investment and where are the jobs?